Skageflå is an abandoned mountain farm above the Geirangerfjord at Sunnmøre in Møre og Romsdal. 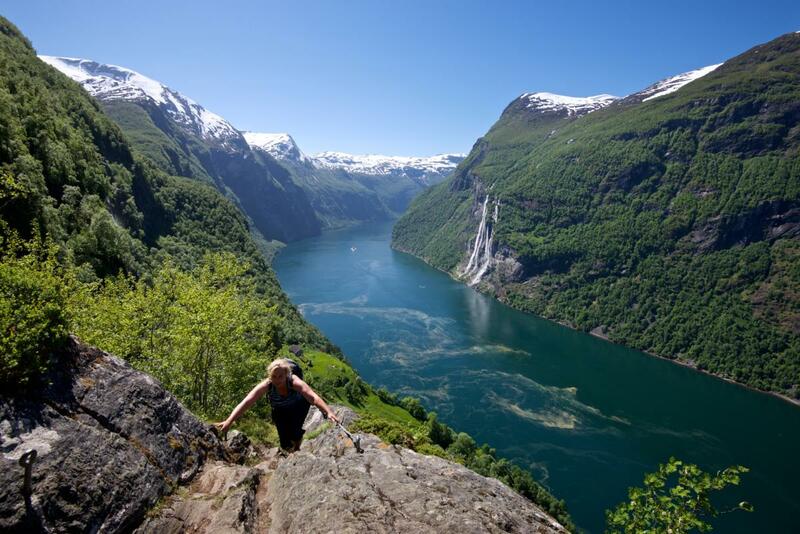 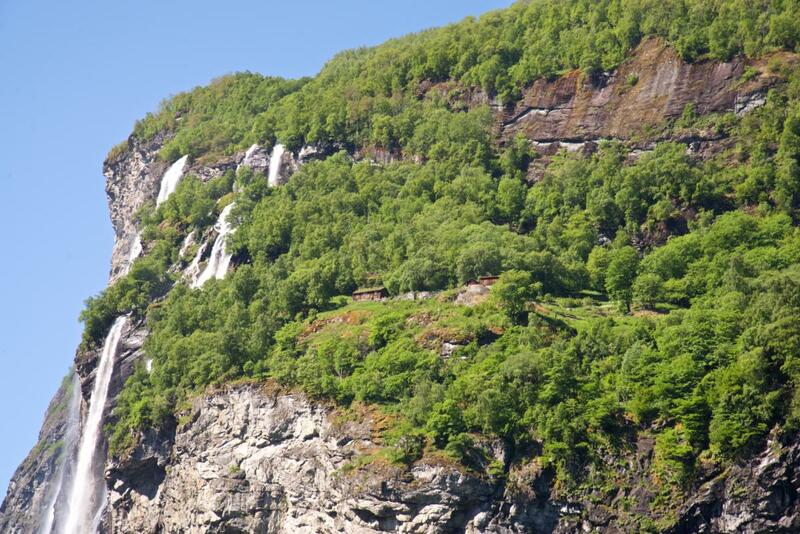 The hike up to Skageflå (250 masl) is one of the most scenic hikes in Norway, with view down to the Geirangerfjord and the surrounding mountains, and to the Seven Sisters Waterfall on the other side of the fjord. 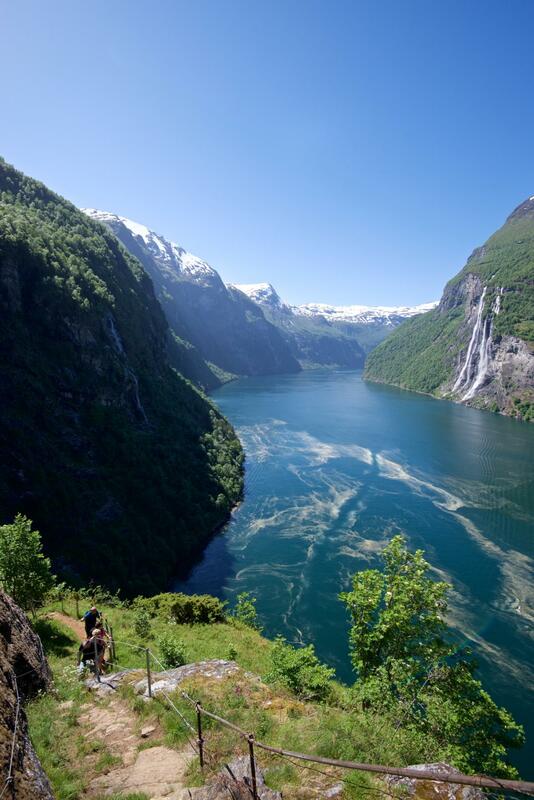 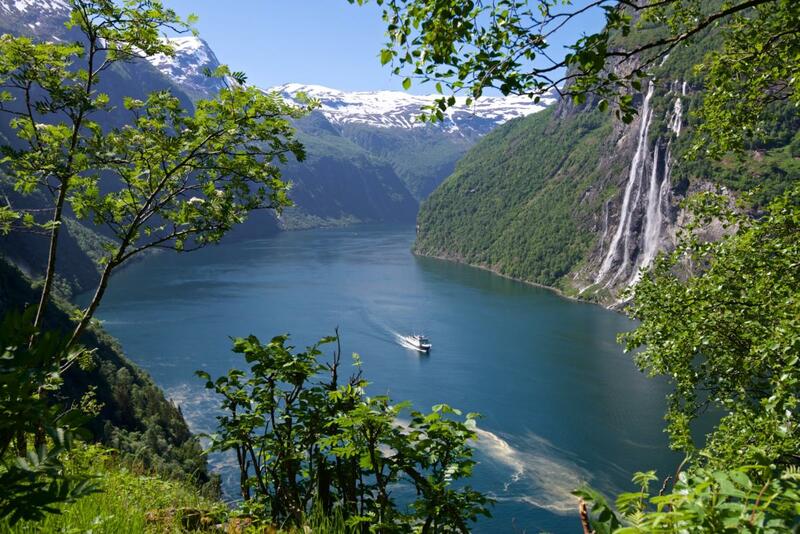 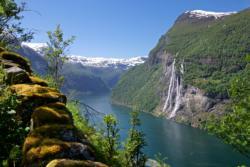 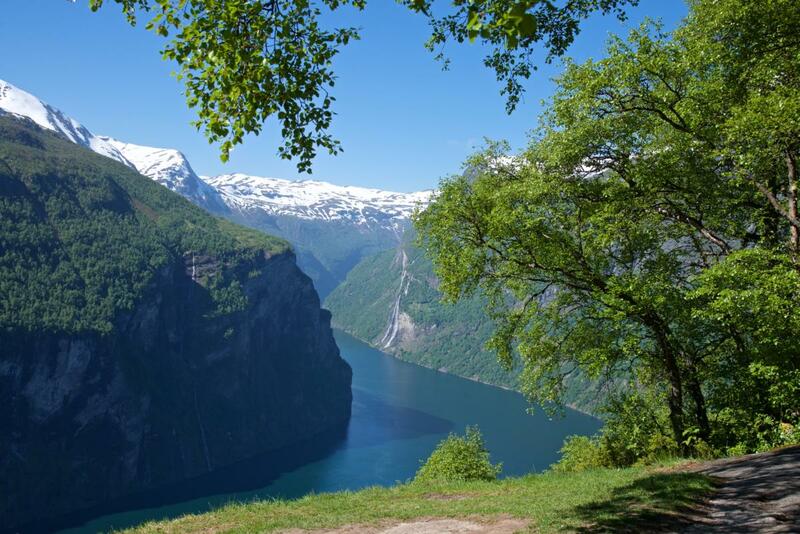 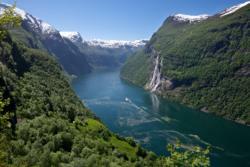 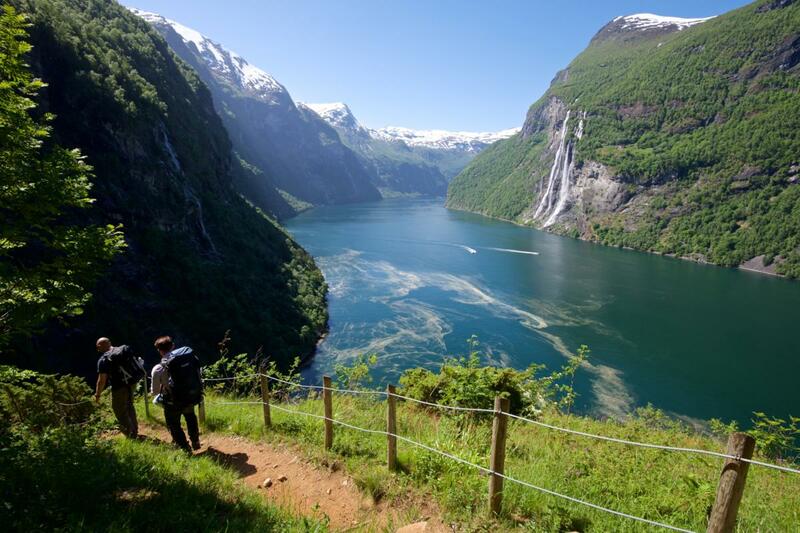 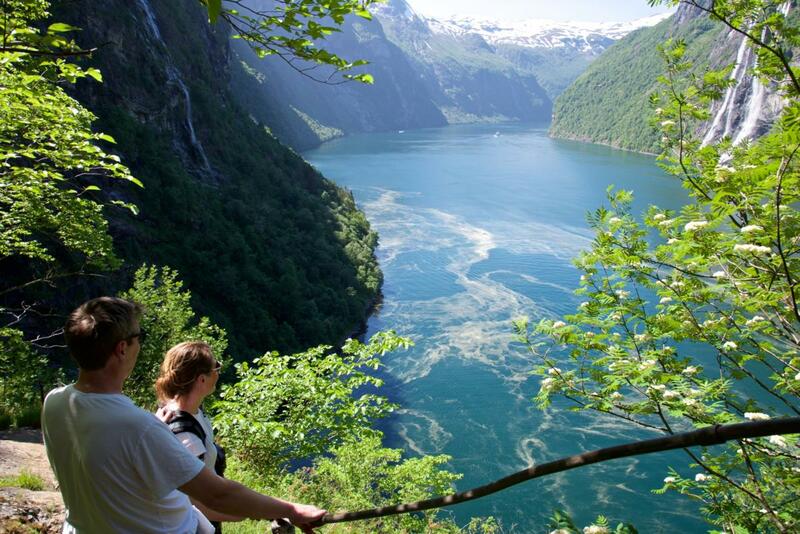 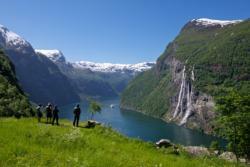 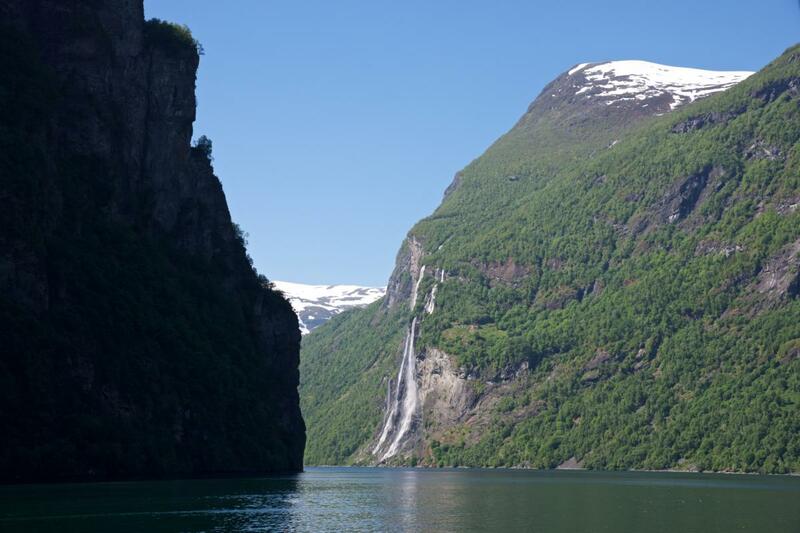 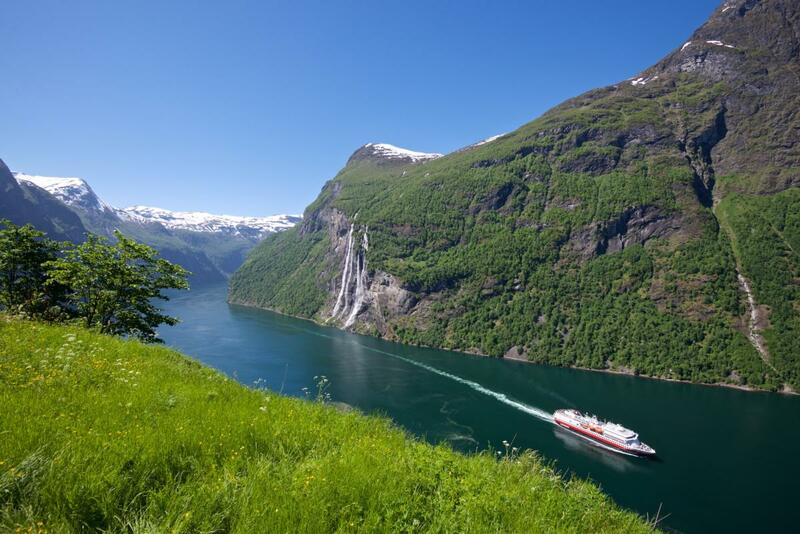 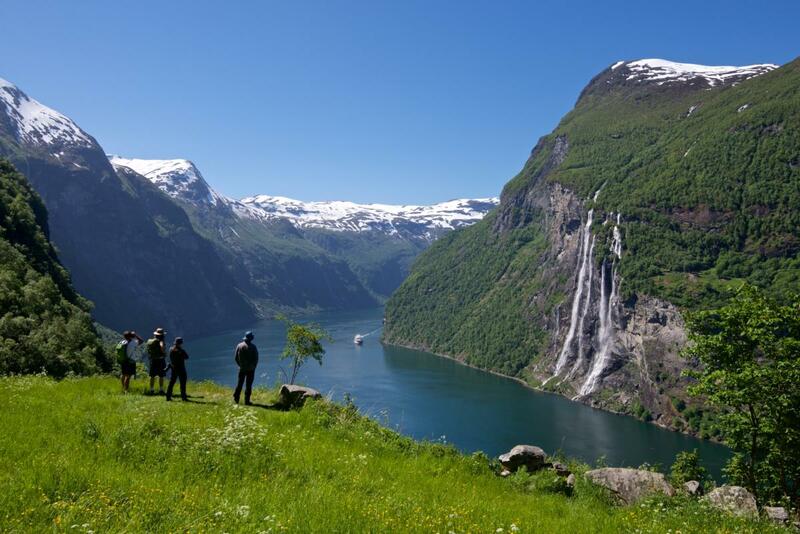 The Geirangerfjord is one of two fjords in Norway that is part of our common UNESCO World Heritage. 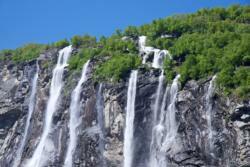 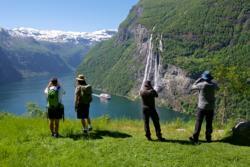 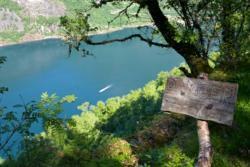 Geiranger and the fjord is a great base for hiking, kayaking and fjord cruise. And the scenery is out of this world. There have been farmers at Skageflå since the Middle Age, and it was one of the wealthiest farms in the Geirangerfjord area due to the lush pastures in the Skagadalen Valley. 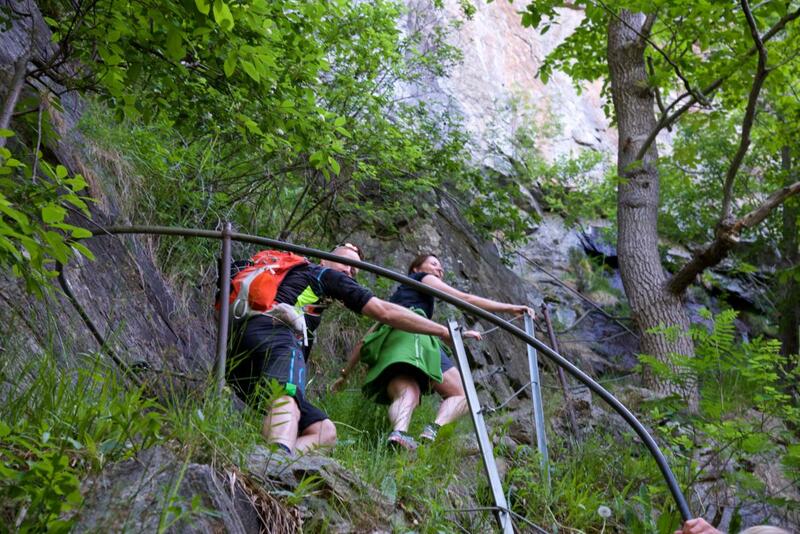 In the early years, the trail up to Skageflå went through a steep and difficult mountainside. 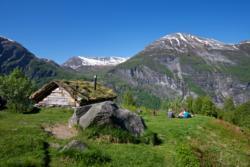 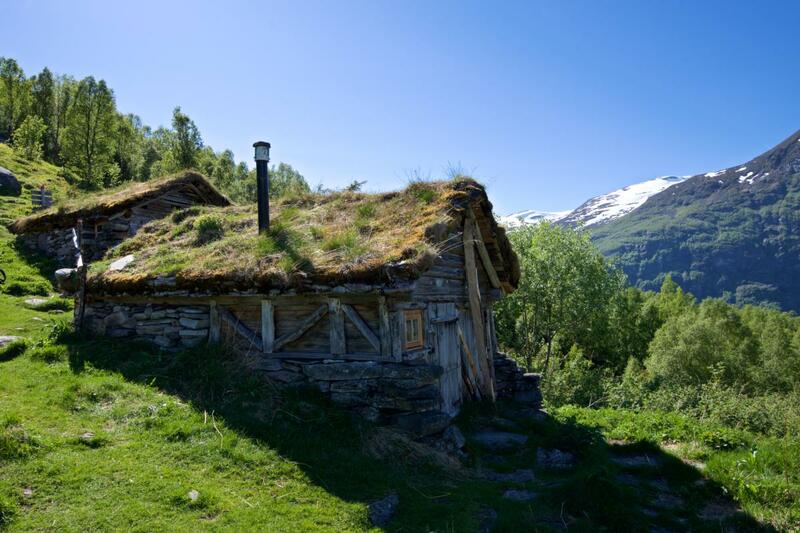 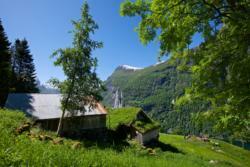 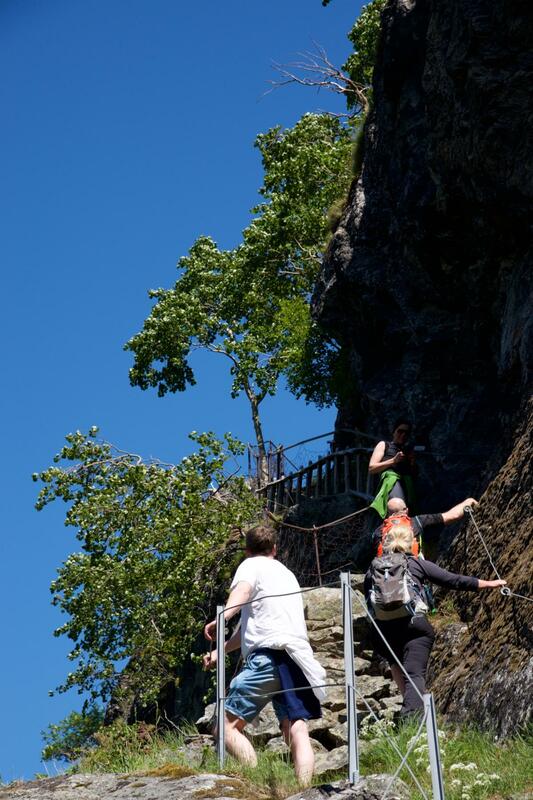 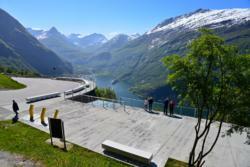 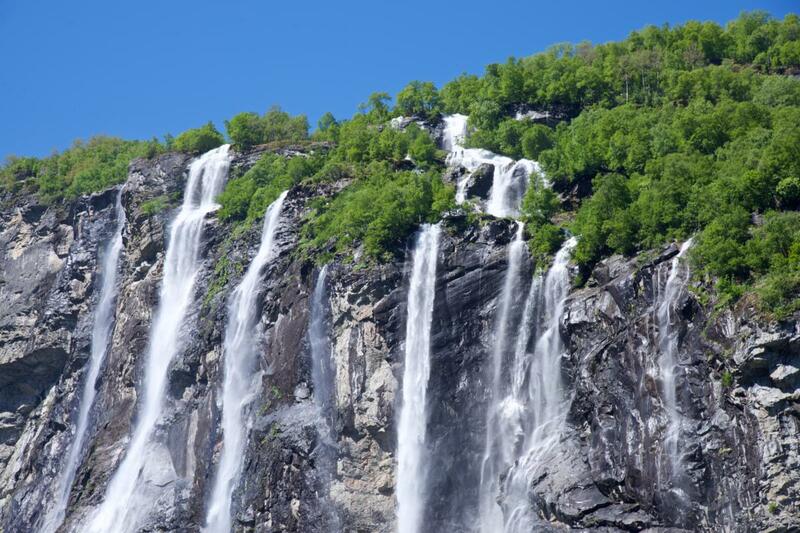 Due to this, in year 1855, the council in Geiranger decided to give financial support to rectify the trail. 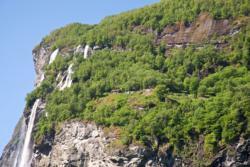 The hike to Skageflå starts with fjord cruise from Geiranger to Skagehola, the shore below Skageflå where the trail starts. 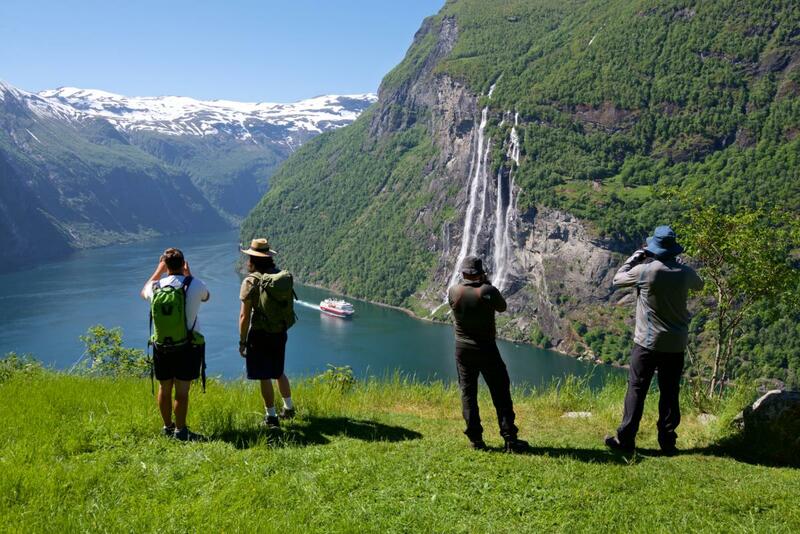 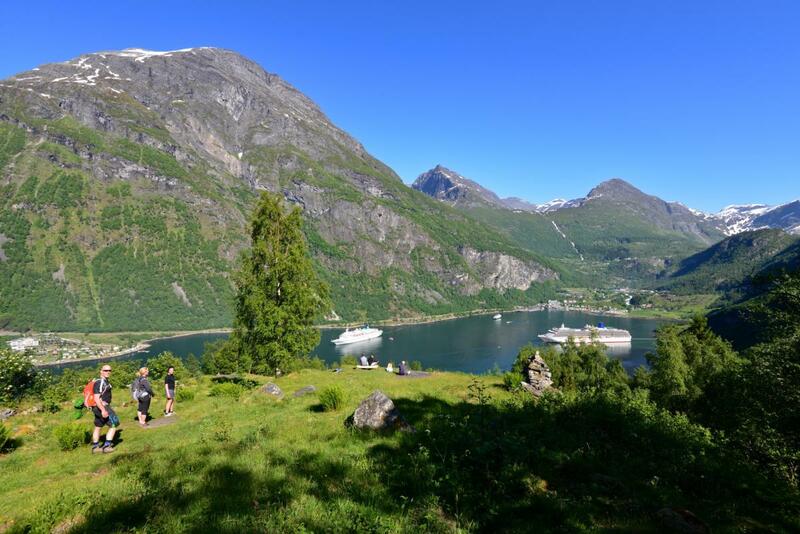 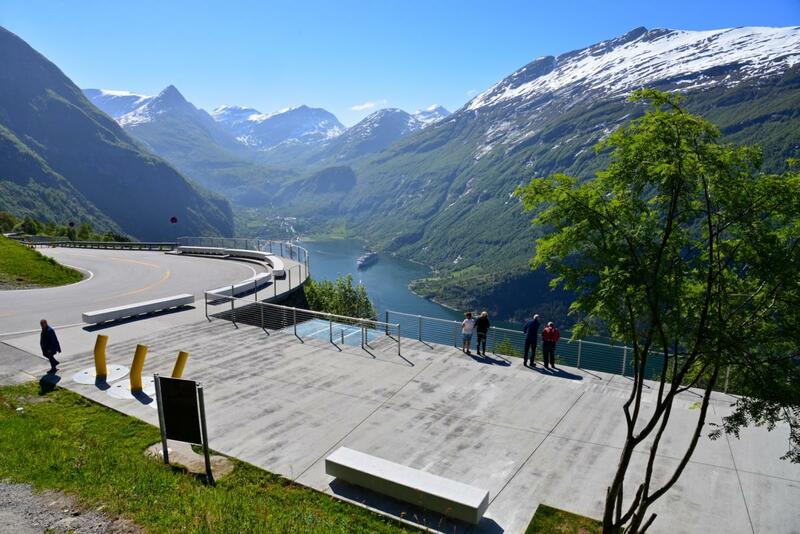 The most common thing to do is to join the fjord cruise, hike up to Skageflå and then return the same way down to the shore and take the fjord cruise back to Geiranger. 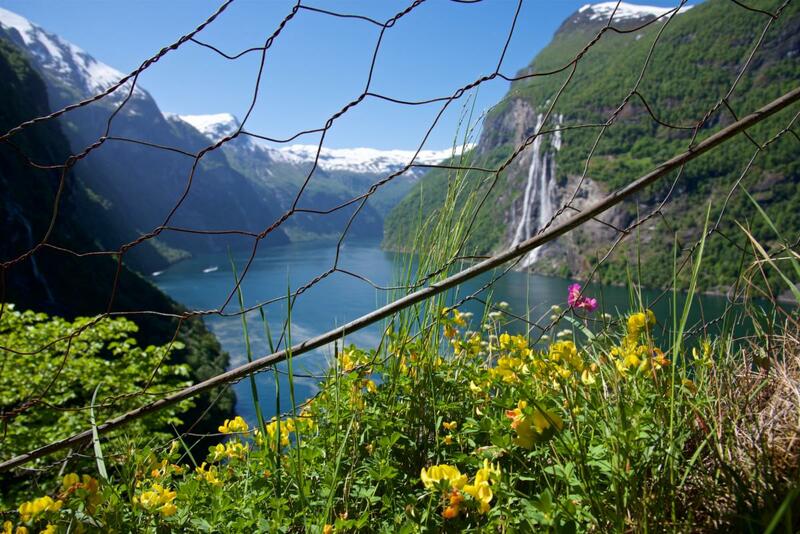 The hike is steep, but the trail is secured by fences, and it takes around 45 minutes from the shoreline to the mountain farm. Instead of returning on the same trail back to Skagehola and then the same fjord cruise back to Geiranger you can continue the hike from Skageflå uphill towards the Homlongsetra Mountain Farm (544 masl) and back to Geiranger. 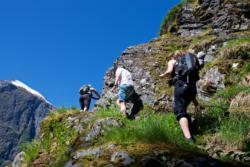 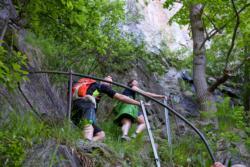 This hike is steep in parts and takes around four to five hours. But the view to the Geirangerfjord is fantastic. 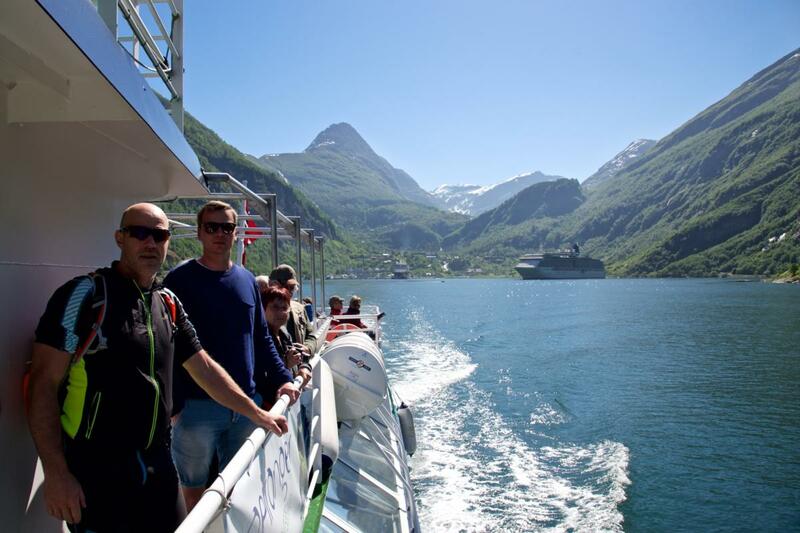 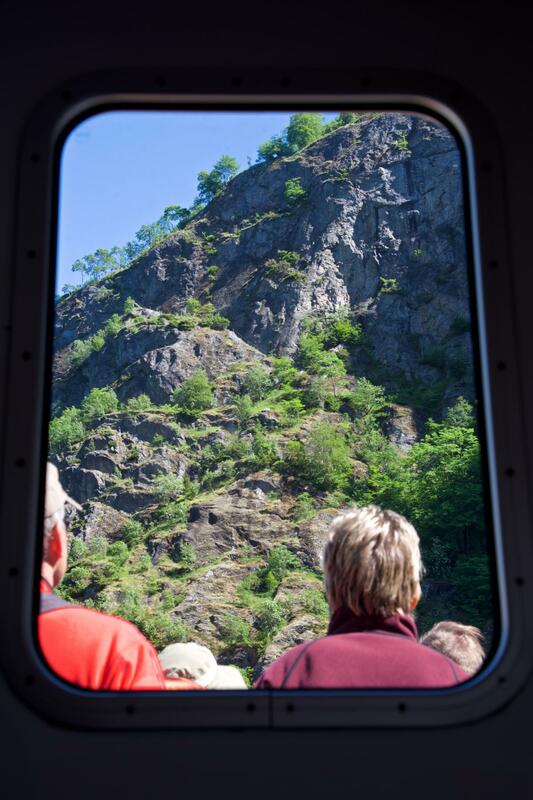 We recommend to book the Fjord Cruise Tickets online some days in advance to be sure the boat is not fully booked. 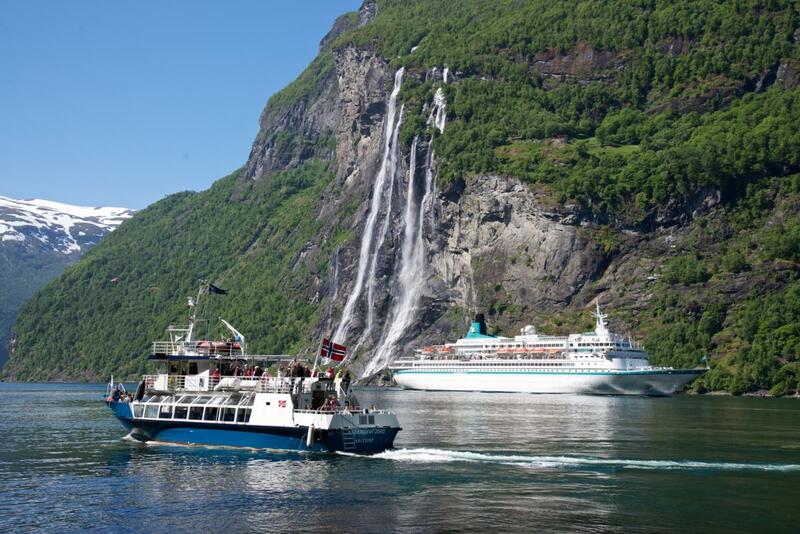 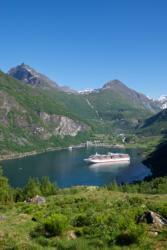 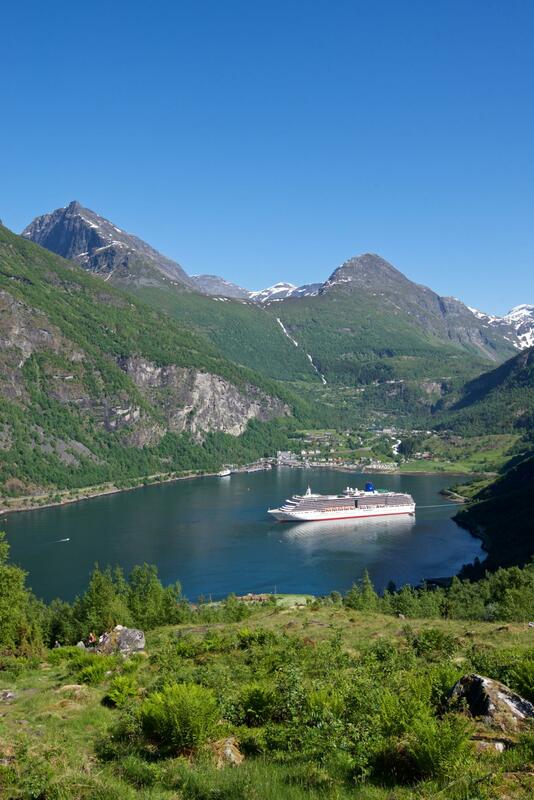 There are several departures from Geiranger and from Skagehola every day during the summer season. The Fjord Cruise operates from end of April to October 31st.